Leaves, Yard Waste & Clean Wood Debris have been banned from the landfill as of July 1, 2016. Transfer stations and drop-off facilities must have created collection systems for leaf and yard waste by July 1, 2015, and now accept that material from residents. ​All solid waste haulers must offer leaf and yard debris collection by July 1, 2016. Haulers should collect leaf and yard debris, at a minimum 1-2 times per month in the spring and the fall, from approximately April 1st – May 30th and October 1st - November 30th. ​Leaf and yard debris can be handled by residents on private properties, but must be kept out of the landfill. ​ For more information contact us. What is clean wood and where can I bring it? Where can I bring my leaf and yard debris? ​All transfer stations and drop off facilities are required to collect leaf and yard waste. They have been required since July 1, 2015. Inquire at the transfer station you frequent about how to drop them off! Transfer Stations in Central Vermont. Montpelier* - call 223-9510. Leaf & Yard debris for Montpelier residents only; stumps & tree roots for all CVSWMD residents. For leaf & yard debris and branches, you must be a Montpelier resident. The dump is only permitted to accept organic waste materials for disposal; if it wasn’t grown, it won’t be accepted. Go to the Public Works Facility at 793 Dog River Road to arrange for a permit and to pay related fees. You must go in person to make arrangements and to have the first load inspected. 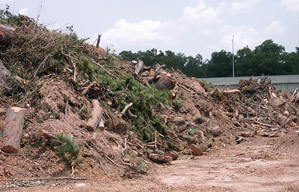 On a case by case basis, subsequent loads may be permitted for disposal without inspection. Call Public Works at 802-223-9510 if you have questions. **Any resident from the Central Vermont Solid Waste Management District can drop off tree stumps and roots, at the Montpelier stump dump and must follow the same procedure to do so. Call Montpelier Public Works Department at (802) 223-9510 for the dates of your street pick-up. Residents are encouraged to manage leaf and yard waste at home, where and when it's possible. Leaves, twigs, small branches, grass, and other yard debris can be managed with minimal input. The humus and organic material created from the decomposition of these materials is beneficial for soil health and landscape fertility. 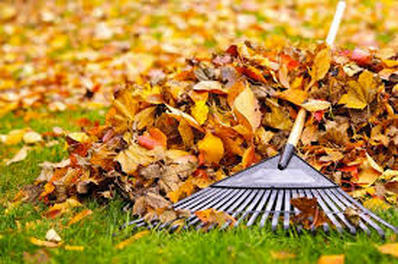 ​You can let leaves, sticks, stumps and other yard debris rot in a pile where they are, out of the way. Leaves and wood chips can also be used to mulch a garden or insulate your garlic or carrots while they wait in the cold ground until the spring thaw returns. Some people over fallen leaves on their land, finding they shred with a few passes, rot and fertilize the lawn. Dry leaves and yard debris are excellent sources of carbon rich materials for your home compost pile. These materials are sometimes referred to as "browns" or "drys." In a compost pile the ideal ratio is 1 pt. "greens" or "wets," which are food scraps, wet grass, and some manures, to 3 pts. "browns." Browns include straw, hay, leaves, dry grass, shredded paper, paper napkins, wood chips, wood shavings, and other similar materials. If you compost your food scraps at home, add leaf and yard debris straight to the pile to help reach a good browns:greens ratio. 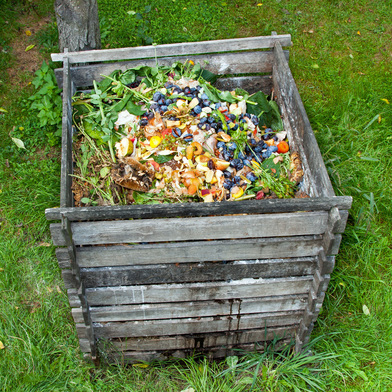 Explore here for more information about backyard composting.